What is the Best Procedure to Permanently Remove Fat? Liposuction: This traditional procedure is still one of the most popular approaches to fat reduction. 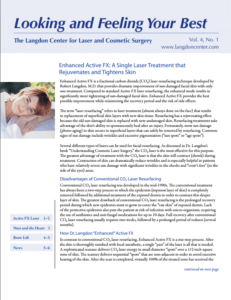 Rather than breaking down fat tissue by force, Dr. Langdon uses the tumescent approach. In this procedure, large volumes of diluted local anesthetic are used to “inflate” the fat layer. This fat is then suctioned through a tiny cannula. This approach is designed to eliminate the need for general anesthesia; additionally, it greatly reduces the odds of swelling and bruising, so your recovery time is shorter. SmartLipo: Dr. Langdon also specializes in SmartLipo, a minimally-invasive procedure that requires less downtime than other forms of liposuction. Liposuction effectively liquefies fat, which can help reduce the appearance of cellulite. SmartLipo is FDA-approved, meaning you can expect the safest results possible. SmartLipo is a great choice for fat reduction around the abdomen, flanks, arms, thighs, neck, and even male breasts. 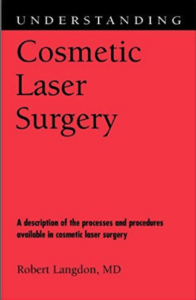 ProLipo Laser Body Sculpting: This unique laser system is used in conjunction with traditional liposuction, which helps reduce the swelling and bruising associated with this traditional procedure. In effect, patients are able to recover within days, not weeks – making this the best option for busy patients. ProLipo delivers laser energy to the fatty area prior to liposuction; this allows for better fat removal, as well as skin tightening. Patients with loose skin are typically excellent candidates for ProLipo Laser Body Sculpting. For more information about permanently reducing fat and body contouring, schedule your consultation with Dr. Langdon at The Langdon Center in Guilford, CT today!